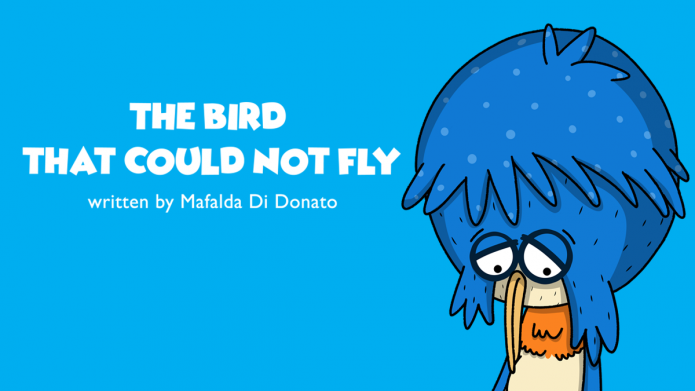 The bird that could not fly is a children’s book written by Mafalda Di Donato, the story is a feel good story for all children as it illustrates that anything is possible when you believe in yourself and put in the hard work. 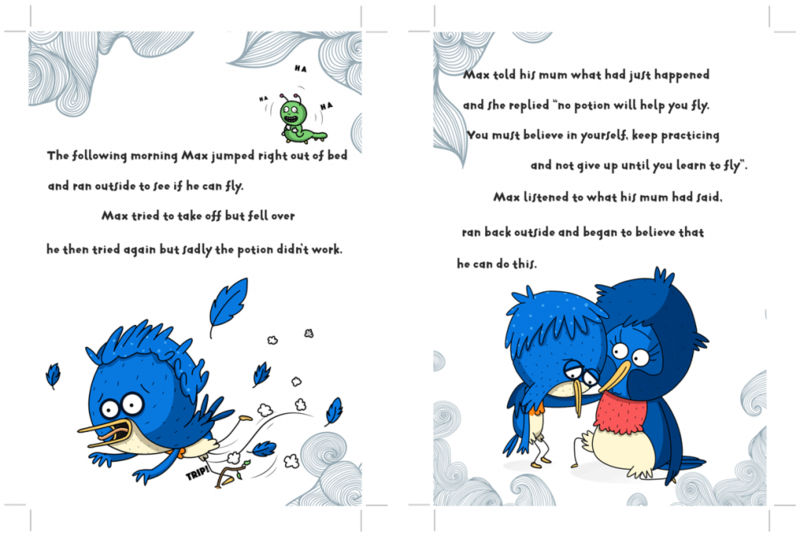 Max is a 5 year old bird starting primary school in the town of Greenwood, in class Miss Rosie teaches the children how to fly. Unfortunately Max can’t seem to get it right as he keeps falling over and this makes him sad. Max tries to find a quick fix after visiting a witch doctor and fails miserably however, on the advice of his mother he begins to think he can and continues to practice and as a result he can now fly! Mafalda found my illustrations through Instagram and after going through my portfolio found my style to suit the characters she wanted. I was asked to develop the original characters you will in this children’s book, a exercise I thoroughly enjoyed as I was granted complete freedom in these designs. The book is now available to purchase online.